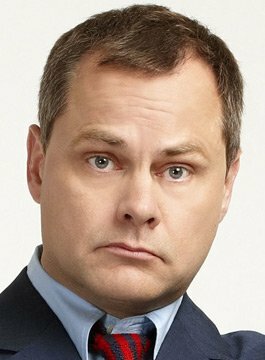 Jack Dee – Comedian, Actor and Awards Host. Now established as one of Britain’s biggest comedy stars, Jack Dee has captured audiences and critics imagination with his dry humour and dead pan delivery. The winner of three British Comedy Awards and nominated for Best Entertainment Performer at the 2005 BAFTA’s, he has been described by the press as “A modern comic marvel”. Jack Dee’s stand up career began in 1986 when he delivered his first open mike spot at the world famous London Comedy Store. Like most established comedians it wasn’t until 1991 that he got his first big break by being nominated for the Edinburgh Festival Perrier Award and wining the British Comedy Award for Best Comedy Newcomer. In 1992 Jack hosted the critically acclaimed ‘The Jack Dee Show’ on Channel 4 which went on to run for two series, he then moved to ITV where he hosted ‘Jack Dee’s Saturday Night’ (1995) and ‘Jack Dee’s Sunday Service’ (1997). By 2000 he had moved to BBC 1 and presented two series of ‘Jack Dee’s Happy Hour’. In 2004 Jack Dee hosted for BBC1 his BAFTA nominated ‘Jack Dee Live at the Apollo’ which was quickly followed by a second series in 2005. In 2006 Jack teamed up with Pete Sinclair to write the sitcom ‘Lead Balloon’ for BBC4/BBC2. Jack Dee is available for Awards Hosting.